Yongping Tian graduated with high honors from Sichuan Conservatory of Music. He was then retained to join the faculty. Tian taught as an er-hu lecturer in the Conservatory for 15 years and has educated many students who became professional musicians. In 1982, he won First Place in the China Erhu Competition in Southwest Region. In 1985, he received the Cultivator Award from Sichuan Musician Association for his accomplishments on music education. 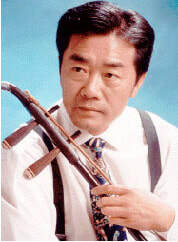 In 1986, he attended Sichuan Artists Troupe as an erhu soloist and visited Singapore, Malaysia, Japan, and Germany. Tian is very active in the performing stage of the Bay Area. In March 2002, he successfully performed the erhu concerto Butterfly Lovers with Ballet San Jose Silicon Valley Orchestra. In 2006, he performed Autumn Reminiscence with the San Jose Chamber Orchestra. For two years, Tian was also invited as a committee and judge for the Chinese Performing Artists of America (CPAA) International Folk Instrument Competition.